Dr. James A. Gohar knows that the relationship you have with your obstetrician-gynecologist can be one of the most personal and important relationships women develop with a healthcare professional. As a family man himself, Dr. Gohar treats each patient with the care and consideration he would offer his own family. Dr. Gohar aims to build lifelong relationships with his patients. He offers women personalized care and he takes the time with each patient to really understand their concerns as well to formulate together multidisciplinary plans. He understands that for some women, gynecological or obstetric health concerns can affect their quality of life. He wants to help all his patients achieve their health goals, whether it’s staying healthy, getting healthy, being more comfortable, conceiving, or having a safe delivery. Dr. Gohar received his medical degree from the historical Cairo University School of Medicine and completed his residency training at the Medical College of Georgia. 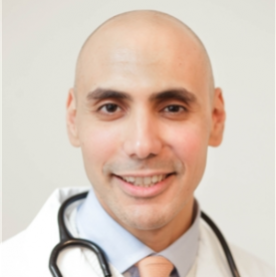 He is affiliated with Mount Sinai Roosevelt Hospital in midtown Manhattan, which is consistently ranked as one of the top hospitals for maternity and gynecologic care in the country. Dr. Gohar has garnered numerous awards and distinctions since completing his medical degree more than a decade ago in 2003. He received the Best Teacher Award at Nassau University Medical Center in 2010 and was honored with membership by the Leading Physicians of the World in 2014. He is a member of the American Congress of Obstetricians and Gynecologists, the International Association of Obstetricians and Gynecologists, the Medical Society of the State of New York, American Medical Association and the American Institute of Ultrasound in Medicine. Forest Hills Medical Services 108–16 63 Road, Forest Hills, NY 11375, Office Tel +1 718 897-5331, Fax +1 877.389.3138. https://www.obgynqueensnyc.com Payment: cash, check, credit cards. Working Hours: Monday: 8 AM — 6 PM Tuesday: 8 AM — 7 PM Wednesday: 8 AM — 7 PM Thursday: 8 AM — 7 PM Friday: 8 AM — 6 PM Saturday: 8 AM — 4 PM Sunday: Closed. HealthCosmos selection of professional & user submitted videos answers important health questions. Enter James A. Gohar's page for info and videos.